Although one person can file to incorporate a business, most corporations have multiple owners, otherwise known as shareholders. Requirements for the formation and operation of corporations are established by state law. However, if a Delaware corporation is publicly traded, federal securities laws kick in and require companies to supply shareholders with "sufficient and accurate information" to make informed voting decisions. Delaware's laws are designed to encourage businesses to incorporate in the state, whether or not they actually conduct business there. As a result, many of the biggest companies in the world incorporate in Delaware. The owners and directors of Delaware corporations are given plenty of flexibility to operate their businesses, and the rules for shareholder meetings are no exception.. Shareholder meetings for Delaware corporations can be held inside or outside of the state, according to Title 8, Chapter 1 of Delaware's corporation laws. The location can be designated in the articles of incorporation or corporate bylaws. If there is no such designation, the board of directors determines the location of the meetings. If the board of directors is free to determine the location of the meeting, it has the power to opt for a "remote meeting" rather than a meeting at a physical location. The main purpose of the annual shareholders meeting is to elect the board of directors, although other business may be brought before the shareholders. In most states, including Delaware, an annual meeting is mandatory. The election must be conducted by written ballot, although this can include e-mail transmission of ballots if the meeting is held remotely. Even if the annual meeting is not held, or too few directors are elected to conduct business, the corporation remains intact and is allowed to perform "valid corporate acts." 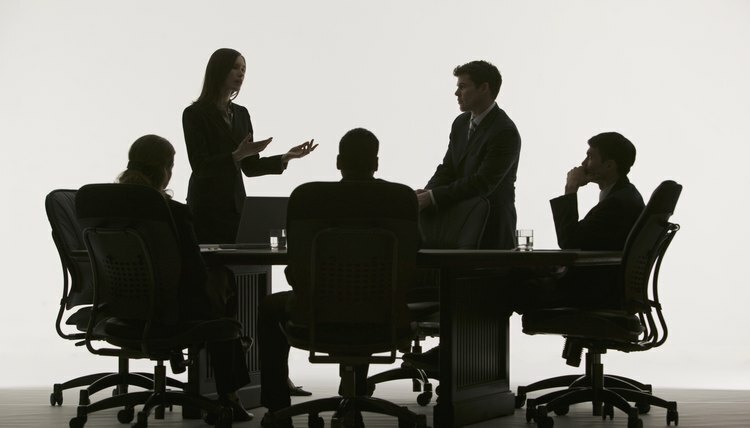 In fact, directors can be elected by written consent of shareholders, even if there is no meeting at all. However, if 13 months elapse from the date of the previous shareholder meeting, the Delaware Court of Chancery, which regulates business in the state, can order the annual meeting to be held at the request of a single shareholder or board director. The court also can issue orders specifying the time and place for the meeting, as well as the type of notice that shareholders are to receive. In order to receive notice of the annual meeting, you must be confirmed as a shareholder as of the record date for voting eligibility, a date adopted by the board of directors. The record date must fall within 10 to 60 days before the meeting. If you are a shareholder as of the record date, you are eligible to vote at the meeting.